Home English Jr NTR in RGV Lakshmi’s NTR? Nandamuri fans have been wishing that Jr NTR to be part of NTR biopic starring Balakrishna. They anticipated that Young Tiger will play Younger NTR in the movie. However, Balakrishna himself is portraying his father NTR’s role in both NTR Kathanayakudu and NTR Mahanayakudu. The film almost comes to completion. Trailer will be out on December 16th and audio event will be held on Dec 20th in Nimmakuru. Disappointed Tarak fans wake up to the shocking news that Jr NTR will be part of Lakshmi’s NTR. Director Ram Gopal Varma is making this film focusing on controversial episode of NTR’s life after he married Lakshmi Parvathi. Lakshmi Parvathi is said to be the one who introduced Jr NTR and his mother Shalini to legendary NTR. Perhaps, Jr NTR developed hatred towards in his young age as Nandamuri family turned against her. Tarak is said to have thrown away Lakshmi Parvathi’s photos out of NTR’s house. 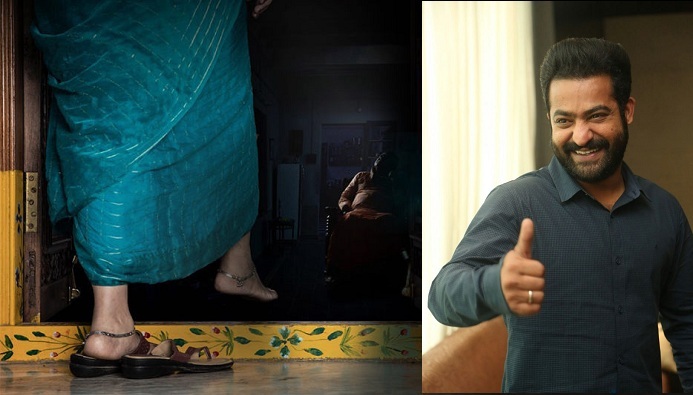 RGV is said to be including this sensational episode in Lakshmi’s NTR. It will surely stir new controversy and add to the turmoil in current political scenario surrounding TDP.